In the last couple of weeks I have been looking at the power that influence has on your leadership abilities. As I said in my first post, influence is really the currency of leadership, and as a leader your role is to influence the team in ways that helps the team accomplish its goals. Last week I covered the importance of communication and how it’s a critical part of making sure you can deliver the other key characteristics. How you communicate, and when, can make the difference in your message falling on a disengaged audience or impacting them for the better. Communication really is the cornerstone to the other skills you need. This week we are going to look at how simplification can help you garner influence. Your ability to take a large amount of information, especially when it’s technical and difficult to understand, and synthesize it into a message that resonates with your team or audience is an imperative. Without it, you risk the chance of losing them before you can really have a chance to change their perspectives. As you may know, I spent several years in the military, and one of my most formative lessons on simplification came during my first year on active duty. I was stationed in South Korea, and worked for the Assistant Division Commander, a two star General responsible for securing and monitoring the border between North and South Korea. It was a great assignment, and we spent weeks at a time on the border, being present for the day that the North Koreans might make a move south across the Demilitarized Zone. My job was a big one for a brand new Lieutenant right out of college for sure. In briefing the General one day, I could tell that I was being way to detailed and it was frustrating him. He needed to understand the situation I was briefing him on, but I was so focused on saying the right things that I was losing his interest, and his patience. Not a good place to be as a new Lieutenant with a General Officer! After the briefing, his aide, a Major, took me aside and had a conversation with me. What he said to me that day completely changed the way I viewed the importance of my message. He told me that I had to tell the General what I needed to convey in very basic ways. He suggested I draw a picture or tell it in a step by step fashion. He didn’t want to imply that the General wasn’t smart enough to understand my message. It was quite the opposite. But he knew that time was of the essence, and spending more time in the details instead of the main message was bad for everyone. Sometimes, he said, a picture really is worth a thousand words. Instead of seeing my job as being the deliverer of the details, I learned that day that my most important job was to convey the message correctly in concept first. If I couldn’t relate my message to something the General understood, it didn’t matter how technically correct I was, I had failed. That was the day that the idea of analogies were seared in my mind. From then on, I learned to quickly adjust my message and make it relatable to the audience. Instead of technical jargon and precise details, I focused on concepts and stories. I took the time to think about my message ahead and time and find a story or analogy that was relatable to the audience, but still conveyed the most important facts. I quietly learned a few things about the General from his aide, and tailored my messages in a way that I thought he would appreciate. It was a turning point for me. I’m sure you’ve been there yourself. You have something important to say, and really want to make sure you can get the message across. But, when you delivered the message, it seemed as if nobody “got it”, and your message fell flat. You worked for hours to understand the topic, you worked through a slide deck to make sure you got all the details right, and the delivery went nowhere. In their bestselling book “Made to Stick”, Chip and Dan Heath provide us with a view of how to get a message to “stick” with the audience. In Chapter 1 of the book, they focus on the idea of simplifying the message and share a real life story of the impact it can have. In 1992, the Center for Science in the Public Interest (CSPI) wanted to convey the results of a study they’d conducted on saturated fat. 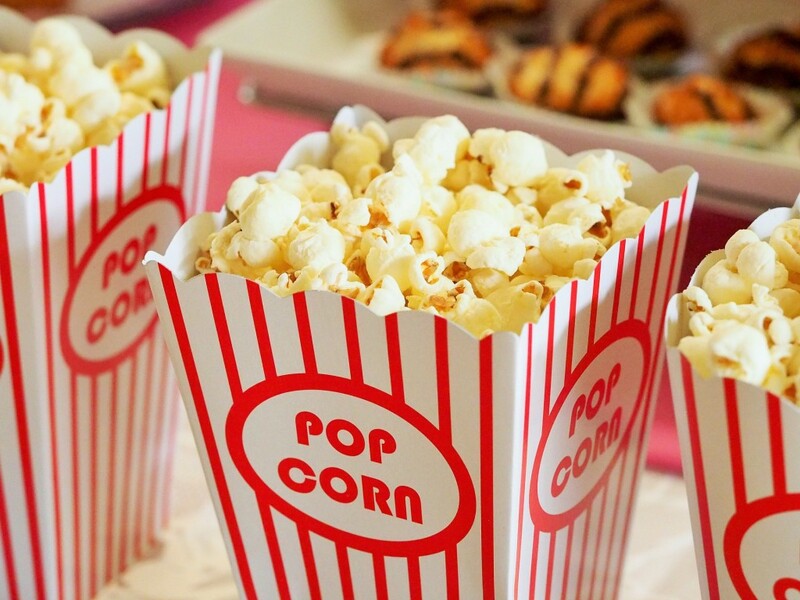 It turns out, one of the little known contributors to unhealthy consumption of saturated fat came from one of America’s favorite snacks, movie popcorn. In fact, a medium bag, popped in coconut oil, contained nearly double the recommended daily allowance of saturated fat, over 37 grams! But telling this story to the public by sharing the facts alone was worthless. Talking about grams of saturated fat would lose the typical audience member and it wouldn’t have the desired effect; to change the eating habits of Americans. It’s hard to visualize a gram of fat, and the average person would just find this both technical, and boring. In order to simplify the message, instead of sharing the scientific facts, CSPI held a press conference and laid out the equivalent amount of saturated fat that the bag of popcorn included. On a table, they presented a plate of bacon and eggs, a Big Mac and french fries, and a steak dinner with a baked potato and butter. All of that food combined still didn’t add up to a single, medium bag of popcorn in the number of grams of saturated fat. The simplification worked. People started pressuring the movie theaters and eventually most movie chains stopped popping their corn in coconut oil. CSPI simplified their message, and it “stuck” with the audience. In fact, finding the core message from all the details is actually the most difficult part of the job. Learning details is easy with enough time and attention. Pulling out the core message from the facts takes considerably more work, and when you’re trying to influence a team or audience, they don’t have the luxury of time or insight that you’ve had. You have to distill the message into something readily understood. There are a number of ways to simplify your message to something that will have an impact on those listening. You want to change the minds of those you are leading, and influence them to ways that will support the organization. Here are a few of the ways worth exploring. Create an “elevator pitch” – Just like trying to sell your product or service to someone you bump into on an elevator, assume you have to be able to get to the core of the message in the time it takes to ride the elevator to another floor. Try to cut out the details and be able to concisely relay your message in about 30 seconds. Any longer, and you risk losing your audience before you even get off the ground. Get rid of jargon – Every industry has its own language and jargon that has developed over time. Just a day in a hospital will tell you that acronyms, jargon and unique words are part of the culture. But to reach an audience, even those who are already steeping if your language, you have to cut the jargon. These cultural references will only cause them to ‘check out’ of your message, because they will feel like they already understand what you are trying to say. If they aren’t part of your culture, jargon only serves to further create a divide between you and them, and confuse them even more. Cut your message in half, and then cut it again – This is similar to the elevator pitch I mention above, but is really meant to help you get to the core of your message. While every detail is ultimately important, many are best left to being answered once the audience asks you. In the popcorn story above, the actual number of grams of saturated fat was important, but not in getting the message across. Once people could see how the popcorn and other food related, it might lead to questions of grams of fat, but it certainly wasn’t necessary to get attention. As a leader, influence is your currency. You have to be able to influence those you lead, by both word and action. But, if your message falls flat with them, you’ll quickly lose your ability to drive change. Not only are communication skills critical, if you can’t simplify the message and make it easy to connect with and understand, you will struggle to gain the influence you want. Next week we’ll take a look at how building relationships are also key to gaining influence. If you can communicate well, and have the ability to simplify your messages, you have to take those “wins” and convert them into relationships to take your influence further. What are some of the most memorable messages you’ve heard during your life? What made them memorable? If you want to read more, go to www.johntmason.com and sign up for regular emails.